In 1985, E.M. “Red” Wickkiser, a former Northwest Orient Airlines pilot, bought a small shuttle company in Bellingham, WA – forming Wickkiser International Companies. With Red and his son Larry taking turns driving one 10-passenger van – two times a day – to SeaTac Airport, the legacy that is now Bellair Charters /Airporter Shuttle began. From the humble beginning of two employees and one vehicle, the company has grown to operating 70 vehicles – luxury motorcoaches, mini buses, vans – and employing approximately 150 people across Washington State. To date more than 3.5 million passengers have traveled with Bellair Charters / Airporter Shuttle. In 2016, Bellair Charters / Airporter shuttle purchased Hesslegrave Tours from Jim Hesslegrave, who retired. Since then, Bellair Tours & Adventures has been providing fabulous activities and events around the Pacific Northwest and beyond! They do all the planning so guests can sit back, relax, and soak in all the fun while making new friends and unforgettable memories. To humbly serve our guests by delivering an extraordinarily safe, reliable and friendly experience – from start to finish. Work like a Champ. Serve with Heart. Enjoy the Ride. Shannon enjoys spending her career working to make each and every customer feel special. Educated at Western Washington University, she graduated with BA in Business Administration. Having traveled widely all of her life, a career in travel is an excellent fit. She looks forward to assisting you to make your travel dreams a reality. 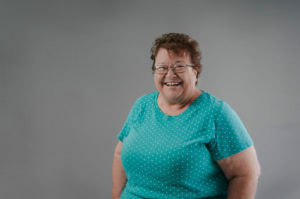 Judy is a lifelong Washingtonian, living in Whatcom County the past 20 years. She is blessed with a daughter and son, their spouses and six grandchildren. A retired educator, she finds joy in traveling, volunteering, playing bridge, quilting, reading and cooking. When asked what she enjoys most about being a tour host she immediately replies, “…the people and in addition, the tours are fabulous.” She finds the tours fun, interesting, and wonderful and loves that the driving is left to an extremely well-trained expert. Her primary focus as a tour host is to make the tour a great experience for each individual tour guest. Judy doesn’t have one specific dream trip in mind, but likes to experience new adventures she may not have yet dreamed begun to dream about. Being a Bellair Tours & Adventures tour host opens the door to many fun experiences and Judy enjoys sharing those experiences with new friends. Dorina, a lifelong Skagit County resident, retired after 30 years in city government as a police dispatcher and court administrator. 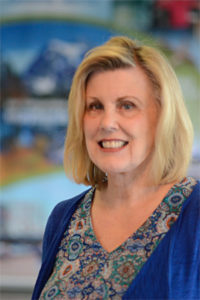 Since retirement, she fills her time as a family care-giver, tour guide for Skagit Hydroelectric Project, and Curves trainer/manager in addition to being a Bellair Charters / Airporter Shuttle reservation agent. In her free time she enjoys traveling, scrapbooking, and gardening. 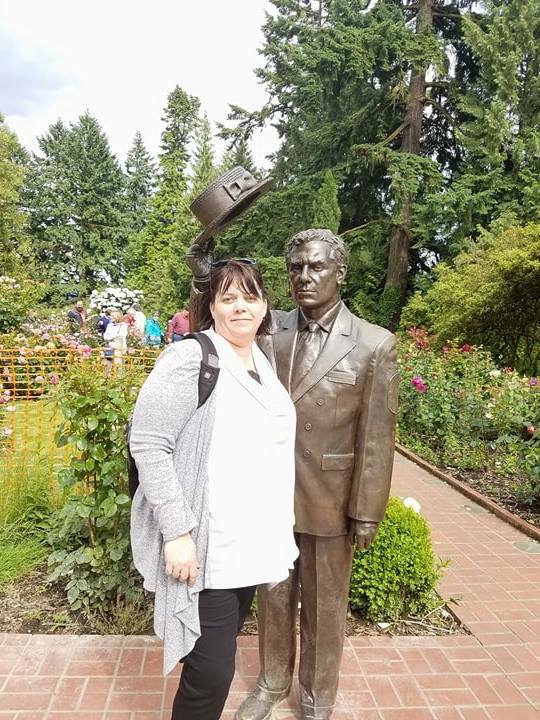 As a Bellair Tours & Adventure host, she loves the wonderful people she gets to meet from around the Pacific Northwest and all over the world. 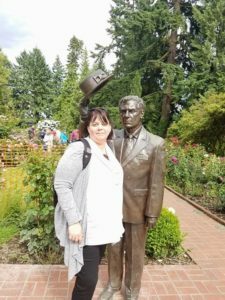 As a seasoned traveler, she believes touring with a professional driver and tour host is a great way to explore the local area as well as find fun things to do and see. As a tour host, Dorina focuses on ensuring all her guests have a fabulous experience and learn something new during the adventure. Having traveled all over the United States, Canada and Great Britian, Dorina loves exploring new places and dreams of touring Australia one day. Her motto, “You don’t get lost. You’re just exploring someplace new,” encapsulates her love of travel. Be ready to experience her passion and love of Washington and Canada when you travel with her. And don’t forget to ask her tips on the hidden gems of the beautiful Pacific Northwest.